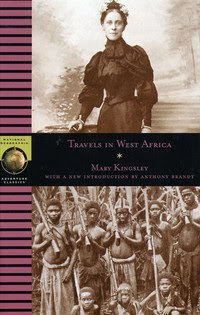 Kingsley would make a number of journeys to West and Central Africa, bring back to England new animals, and write books that increased English knowledge of the continent to Europe's south -- and unlike missionaries of the time, she defended indigenous practices, such as polygamy. Among her bestsellers was Travels in West Africa (1897). Kingsley died of enteric fever in 1900, while serving as a nurse in the Boer War in South Africa.